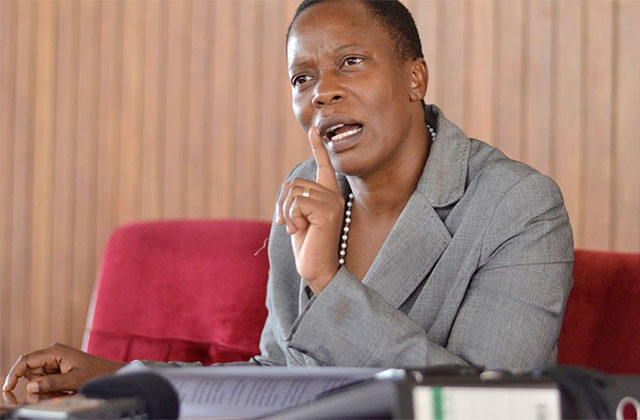 MUKONO – Mukono Municipality Member of Parliament Betty Nambooze also Shadow Cabinet spokesperson has blasted IGP Okoth Ochola on the new Police shakeup. According to a statement issued on Sunday, 13, Nambooze says her side strongly believes that the force needs a complete overhaul, depoliticisation, and demilitarization. She made the remarks following a shakeup in the Police that saw Emilian Kayima replaced by Fred Enanga as Police spokesperson and to be deputized by Polly Namaye. Kayima has been moved to the office of Political Commissar while Patrick Onyango will be PRO KMP deputized by Luke Oweyesigyire. She also called upon the Police leadership to demobilise all ‘Malitia groups’ attached to it and instead adopt community policing as a strategy, that according to her will help the force to fully implement service personalized policing. She says under this arrangement, same officers would patrol and works in the same area on a permanent basis from a decentralized place, working in a proactive partnership with citizens to identify security problems and solve them together with communities. “The force also needs to weed out of its ranks armed goons and regime cadres that pass off as Policemen,” she said adding that there is also a need improve on the training, remuneration and welfare and equipment at all levels of the force.